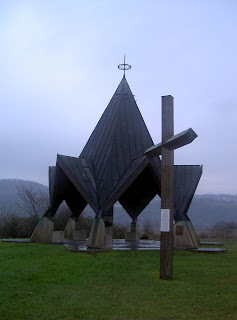 Back in 2005 - "Christmas on the Rhine?" says my wife, Mo. "Good idea" I replied. Actually the idea was not a great one but there was one big compensating factor. 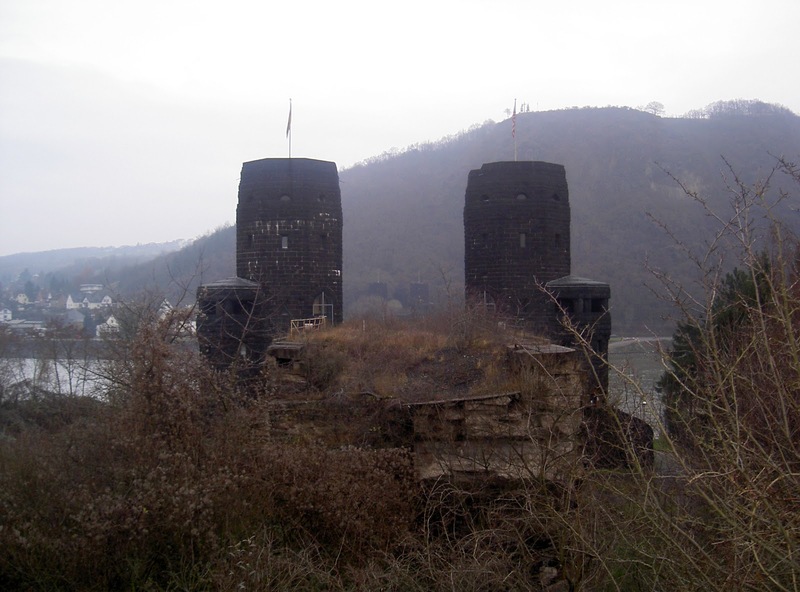 A one day stop at the town of Remagen. So off I went to find the remains of the Ludendorff Railway Bridge - an icon of WWII military history. Just after 4pm on the 7th March 1945, American GIs of Company A, U.S. 27th Armoured Battalion took this key Rhine crossing under fire. The demolition charges set by the defenders failed to go off and so it was that Sergeant Jo DeLizio and Lieutenant Karl Timmerman led their men over to the East Bank of the river. The bridge towers on the West Bank have been preserved as a monument and the immediate vicinity has been left untouched. 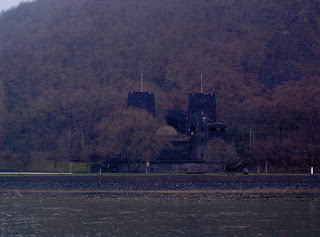 Sadly the towers on the East Bank, and the railway tunnel beyond, were not readily accessible since the bridge was never rebuilt and, being winter, there was no boat available for a crossing. 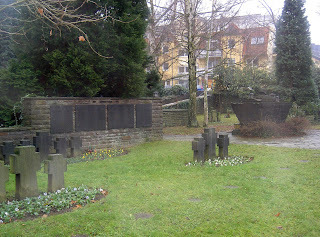 In the town itself there is a small military cemetery containing German casualties from both world wars. outside of town one can walk through the river side meadows which were once the site of vast POW pens. 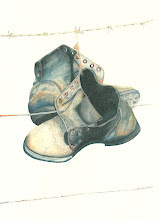 There are still signs of this sad period in the form of barbed wire strands littering the ground. And the cruise? - actually the whole 'cruising' experience was so bad it was funny. We had a great time. I have a passion for travel, an enduring interest in military history and a network of like minded friends. This blog is a natural development of my long established web site which features a large number of visits to battlefields all over the world. To view my battlefield walks please click on one of the header links above or view the 'What's New' link below. Scroll down to the foot of the page to subscribe to my blog. Lake Ilmen: The Wehrmacht Front to the Red Army by Oscar Gonzalez and Pablo Sagarra. Best Love To All: The Letters and Diaries of Captain Rigby-Jones, MC and Bar.